The world of online and mobile applications is growing every day. More and more, companies across all industries are focusing on their online presence and how they can harness online and mobile apps to improve communication inside the office and beyond. 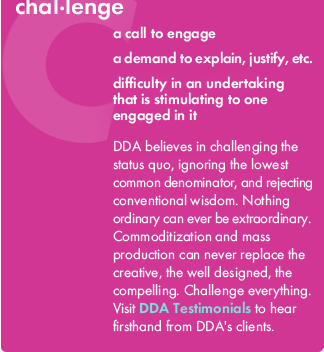 DDA Apps™ is a full service division of Dynamic Digital Advertising, LLC. From the design and development of online and mobile apps to converting an existing website for mobile compatibility, DDA Apps™ provides clients with the best in custom illustrations, 2D animations, Flash® and HTML programming, database development, virtual experiences, and more to make each online or mobile device application the best it can be. No matter what smartphone device you carry, DDA Apps™ can create the best mobile consumer, business, or learning solution for you and your iPhone®, iPad®, or Android™. 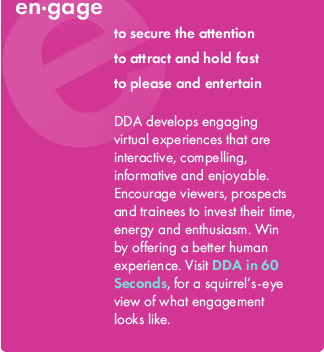 With a mobile application by DDA Apps™ companies and organizations can educate, engage, and enthuse users with programs that keep the lines of communication open whether you’re in the office or not. DDA develops online applications like corporate intranets, CRM software, and PowerPoint® generation tools that keep both clients and colleagues within reach and in-the-know no matter where they are. Customers who rely on instant online transactions can rely on secure eCommerce applications, programmed by DDA Apps, that both satisfy a customer’s need to shop safely and the vendor’s need to keep their business in the black. Educators and trainers look to inspire their students with interactivity to allow for better information retention and mobility to learn from anywhere. 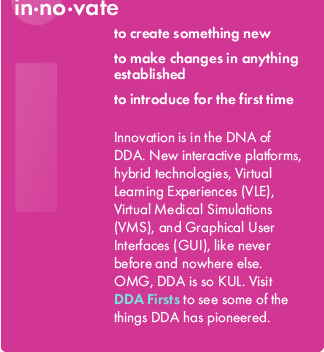 DDA designed eLearning platforms with virtual simulations and interactive experiences make this possible. 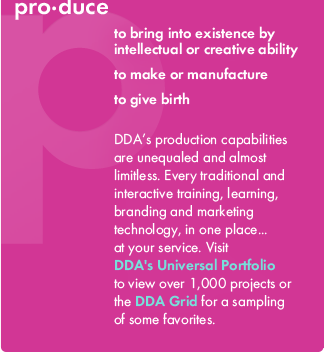 Whether you’re a medical device company looking to educate a medical team or patients on the use or benefits of a piece of equipment through a mobile virtual medical simulation, or a business owner looking to connect with clients, consumers, or colleagues, contact DDA Apps™ today for options on how to grow your business online and on-the-go.